Inflatable tent with three openings. If you want space, style and flexibility at a great price, the Outwell Milestone Nap drive away awning is the one for you. Easy to pitch with strong Duratec fiberglass poles, the tent quickly attaches to your vehicle via the deep side canopies. On sunny days you can open up the tent to bring the outside inside. While at night, you’ll sleep well thanks to the light blocking bedroom ceilings. Roll out canopy sides for fast and fit closure against van side. 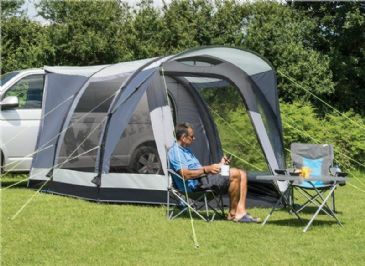 This large zip on sun canopy is designed to fit the new Travel Pod Motion Awning 2017 onwards Canopy Only. 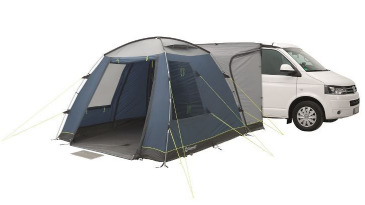 The Kampa Travel Pod Touring AIR VW Drive-Away Awning includes a large 4 berth inner tent with a privacy divider which makes the Touring an ideal choice for families and groups. 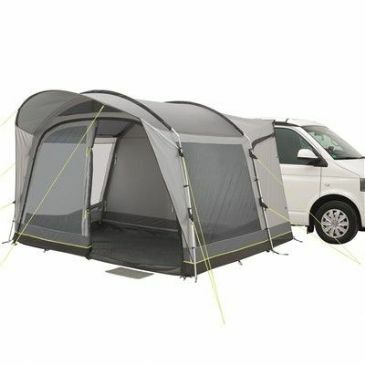 This VW model awning is the largest in the Kampa range and has a connection tunnel height of 180cm to 210cm, perfect for Volkswagen Transporters. Tent with 1 livingroom. The Outwell Milestone drive away awning offers value and convenience rolled into one. 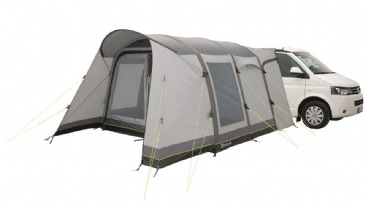 The poled tent frame gives you a large, roomy space with full height ceilings and large, tinted windows. 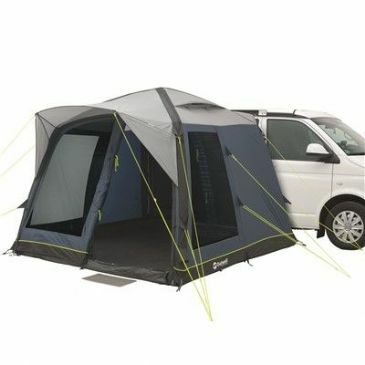 The awning attaches to your vehicle near the roof, providing a waterproof link between the vehicle and the tent. 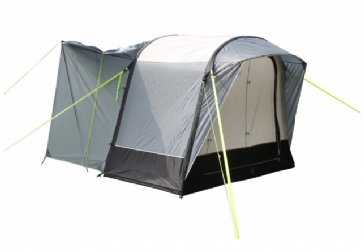 The front can be fully opened into a canopy on sunny days, and you can add a bedroom with the optional inner. 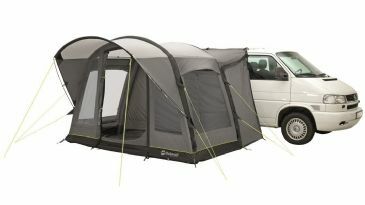 Come and go as you please with the ultra convenient Outwell Milestone Pace Air easy pitching drive away awning. 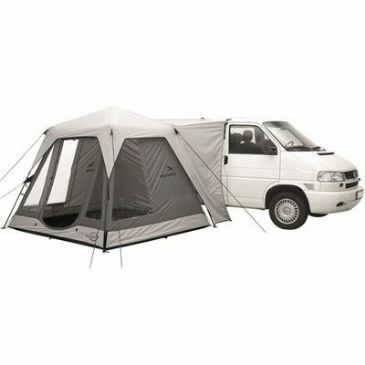 This completely standalone tent fits against your vehicle rather than physically connecting to it, making it easier than ever to drive away. When you return, simply pull up next to one of the extended rainsafe canopies at the front or rear for waterproof access to the tent. 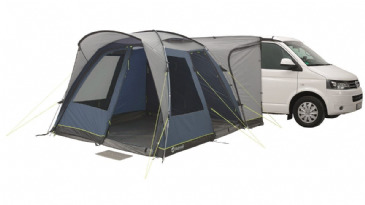 The Outwell Milestone Pace combines the flexibility of a tent with the added comfort of a drive away awning. This poled awning doesn't physically connect to your vehicle, but rather leans against it. So you get the benefits of both a fully standalone tent and a covered walkaway to and from your vehicle. Simply park your vehicle close to one of the two extended rainsafe canopies when you return to the campsite. The Outwell Milestone Pro Air is a dome-style inflatable drive-away awning, with flexible height attachment, using pre-angled air tubes of our Rigid Air System and superb Outtex® 3000 fabric. Tent with 1 living room. Enjoy more comfort with the Outwell Milestone Pro. This innovative, poled drive away awning offers all the features of the Milestone and more. A rainsafe canopy over the door provides shelter in bad weather and helps to keep the tent drier. Extra length in the attachment flap means the awning can attach over the roof of your vehicle, so there’s no need for rails. And for easier access, we’ve added a door to the living area. Tent with 1 livingroom. The Outwell Milestone Pro Tall offers all the benefits of the Milestone Pro, but is a larger size to fit taller vehicles. 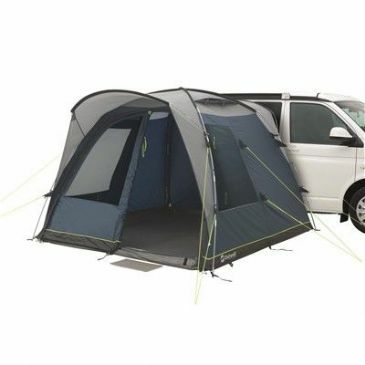 This practical poled drive away awning has an attachment height of 240–290cm to fit over the roof of larger campervans, motorhomes and buses. The practical Outwell Scenic Road 200 drive away awning is ideal for couples, day trips or for those needing a space to store equipment. Its smaller size and strong yet lightweight poles make it quick to pitch. A higher attachment point makes it easy to connect to your vehicle. The rainsafe entry canopy offers shade and shelter, and can be pulled in at the sides on smaller pitches. 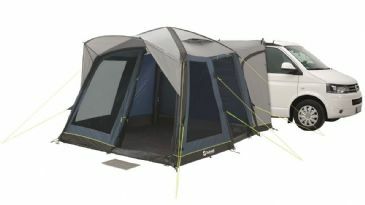 Compact yet spacious, the Outwell Scenic Road 200SA is the ideal drive away awning for couples, day trips or touring. The smart air technology quickly inflates into a freestanding space with room for a table, chairs and cooker. Great for all weather, with fully opening fronts, the awning's higher attachment point makes it easier to clip on and off your vehicle. The flexible canopy offers shade and can be adapted to your pitch size. 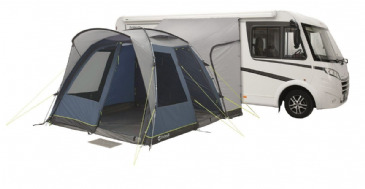 The Outwell Scenic Road 250 is a spacious, poled drive away awning that is perfect for family adventures and touring holidays. Featuring lightweight, sturdy poles and durable Outtex 4000 material, the awning provides lots of room for tables and chairs. 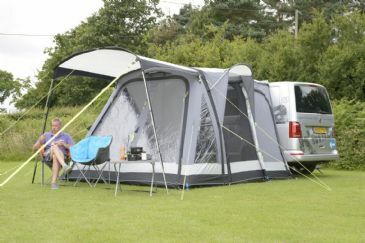 Take it easy with the mid-sized Outwell Scenic Road SA250 Air drive away advanced inflation awning. 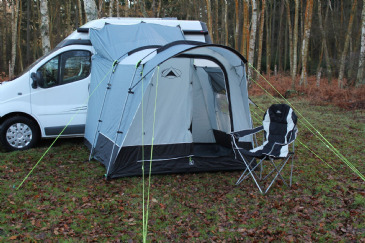 Spacious and inviting, the awning is made for hassle-free camping. 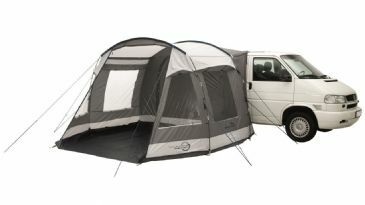 Use it as an extra living space, or create bedrooms with optional inners and comfortably sleep up to four people. Full standing height shelter from sun, rain and wind. Get more protection from sun, wind and rain with the Outwell Touring Canopy L, which has larger side panels to keep the elements at bay. It also comes with adjustment wedges, so you can alter the height to fit your vehicle. 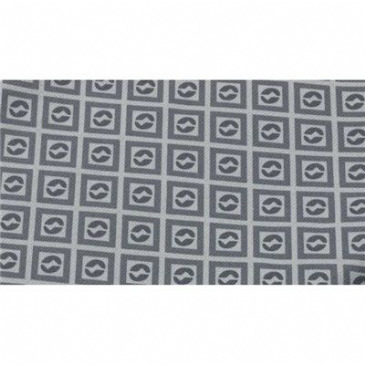 This makes it a great choice for most campervans, boxcars, motorhomes and caravans.